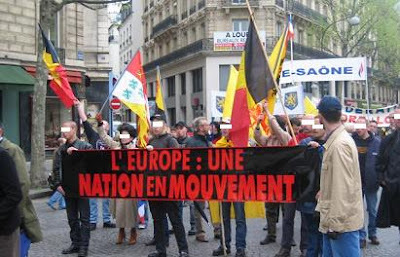 Communemedia +: The Belgian nation and "identity politics"
One of the worst nationalist groups in Belgium is called Nation. The members of it sometimes work together with Flemish Nazis, ecofascists and other members of the far Right. They generally are explicitly opposed to globalisation and the Nato. The Belgian identity is very important for them.